My students have awesome style. Sometimes they come to school dressed as if they stepped out of a magazine. I'm totally impressed. 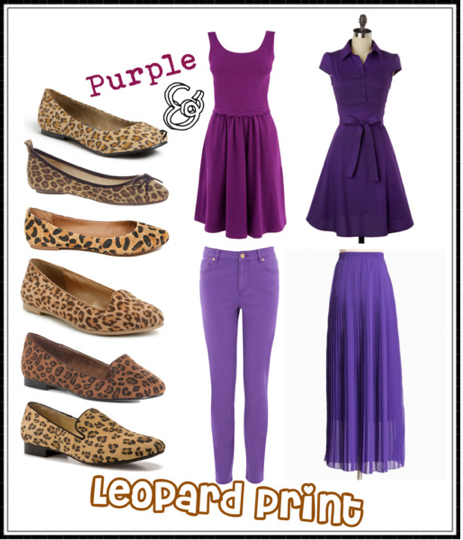 The other day one of the girls came in wearing a purple skirt with leopard flats and I fell in love with the look! I never really thought purple and brown went together much, but there was something very classy and sophisticated about the pairing of the purple and leopard. What do you think?